Adelaide Cricket Club is pleased to announce the appointment of three highly credentialed new Coaches to our panel for the 2017/18 season. Shaun Seigert (Senior Club Coach), Sam Raphael (Assistant Coach) and Luke van Kempen (Junior Coach) will head up a very impressive group of coaches and mentors to carry our playing group further forward. Shaun Seigert is one of the top coaches in the State, and since 2005 has been the Head Coach at the internationally recognized Darren Lehmann Cricket Academy. Twenty players, headlined by England captain Joe Root, have played International Cricket since going through the DLCA program, and more than 100 others have played First Class Cricket all over the world. After a long and successful playing career in SA in which he represented SA's 2nd XI Team, Shaun has developed his skills as a succesful cricket coach. 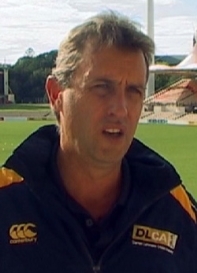 He has twice won the Grade (now Premier) Cricket 'Coach of the Year' in his previous 6 seasons leading a Senior Club, has coached SACA Underage State teams and has coached in Europe. With a wealth of extra specialist coaching and support under these 3, we look forward to a great year at Glandore Oval.